A Cardiff councillor who has moved to west Wales said she remains "active" in the community she represents. Gretta Marshall, a Labour member for Splott, is planning to stand down at the 2017 election. She said she was a "hardworking and dedicated councillor" who divided her time between Cardiff and her new home. "I was elected to serve the people of Splott and Tremorfa for five years and that is what I intend to carry on doing," she said. 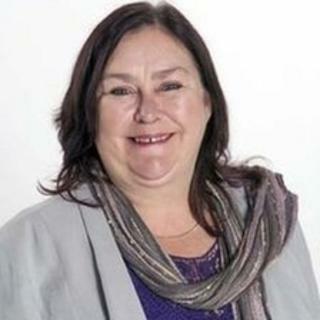 Ms Marshall was a Cardiff council cabinet member from 1999 until she lost her seat in 2004, but was re-elected in May 2012. Residents of Splott who shared their views with BBC Wales were sceptical about Ms Marshall's ability to represent them while living elsewhere. Taxi driver Tony Lane, 55, said: "If she's saying she can still look after Splott while she's living a hundred miles away, I think it's a bit ridiculous - she should step down immediately." Mechanic Andrew Moody, 42, said: "If she ran it for a year or so to see if it works, there's potential there .... I still think you still need to be here to know what's going on around you." Shopkeeper Karen Hodgetts, 54, said: "I don't think it'll work - she didn't do much for us when I wrote to get help for my mum who's disabled to get a parking bay - I never heard from her." Manuel Thilakaretnam, 52, who manages a convenience store, said: "Communication is worldwide but if we can't go and see her ... I don't know how she can manage."